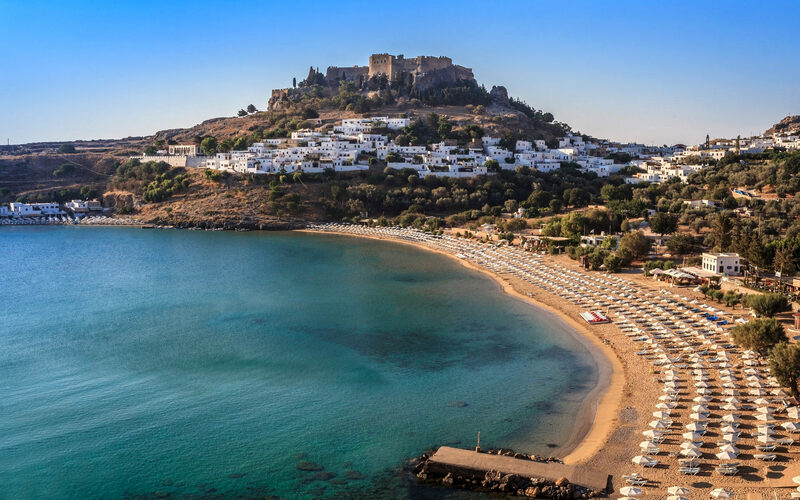 The island of Rhodes is situated at the crossroads between two important sea routes through the Mediterranean, between the Aegean sea and the coasts of the Middle East, Cyprus and Egypt, 11km off the coasts of Asia Minor. 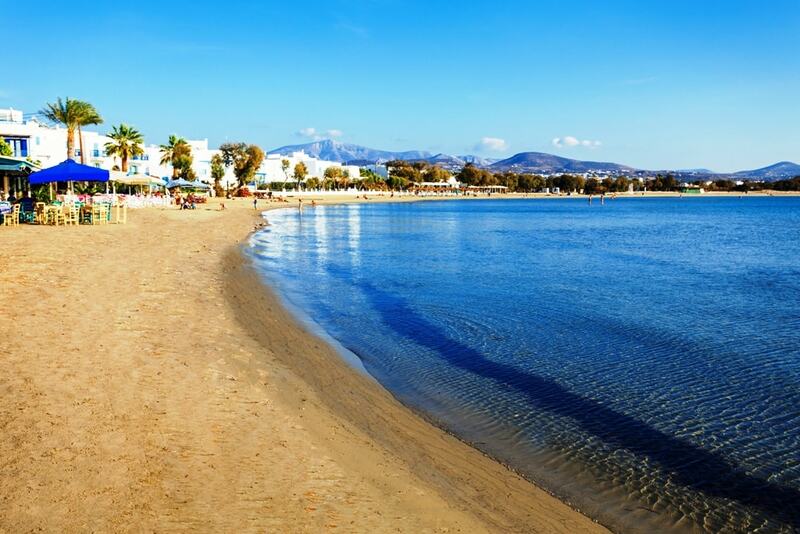 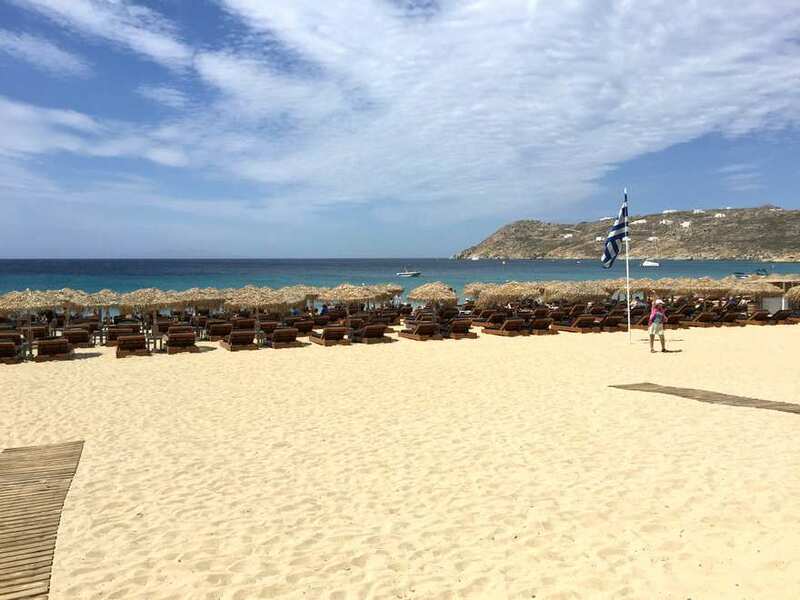 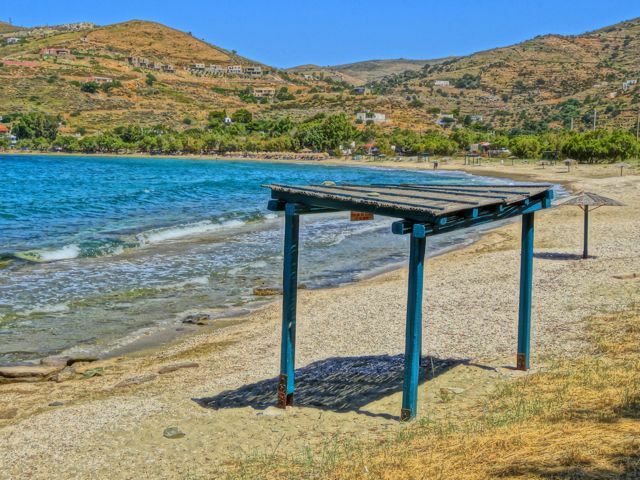 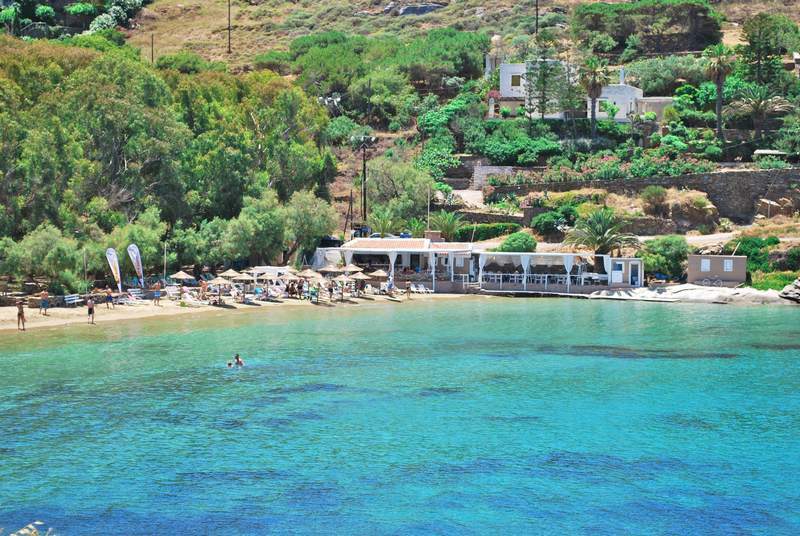 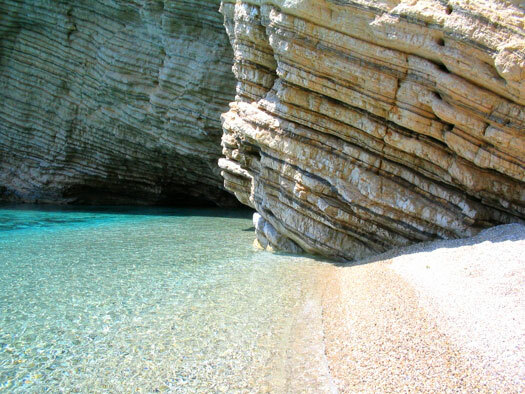 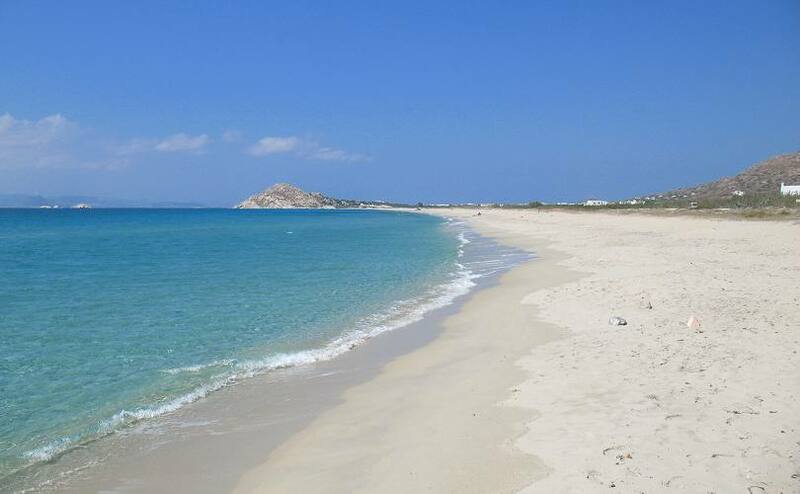 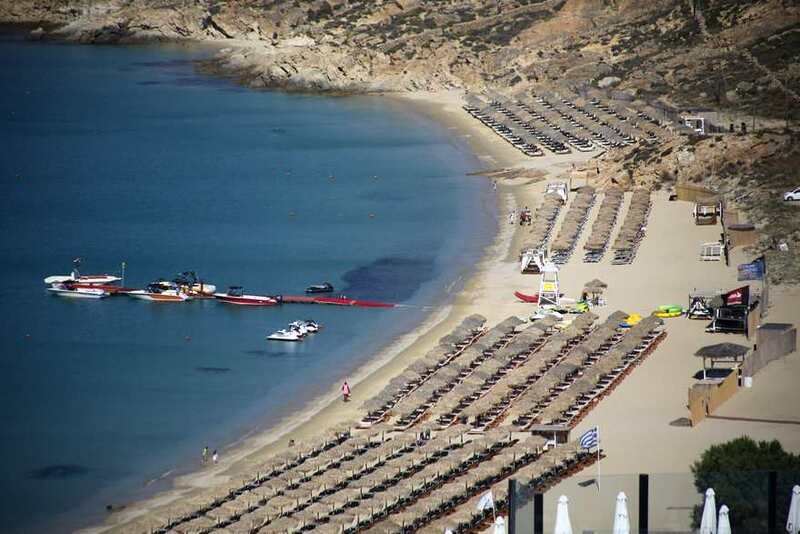 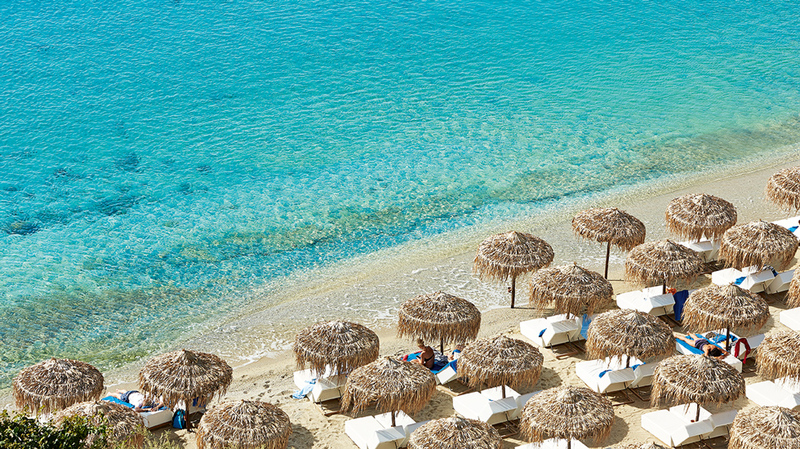 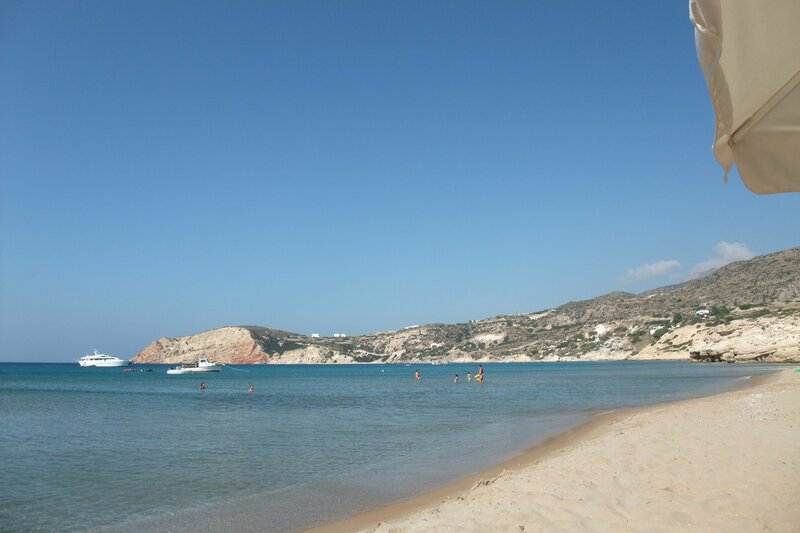 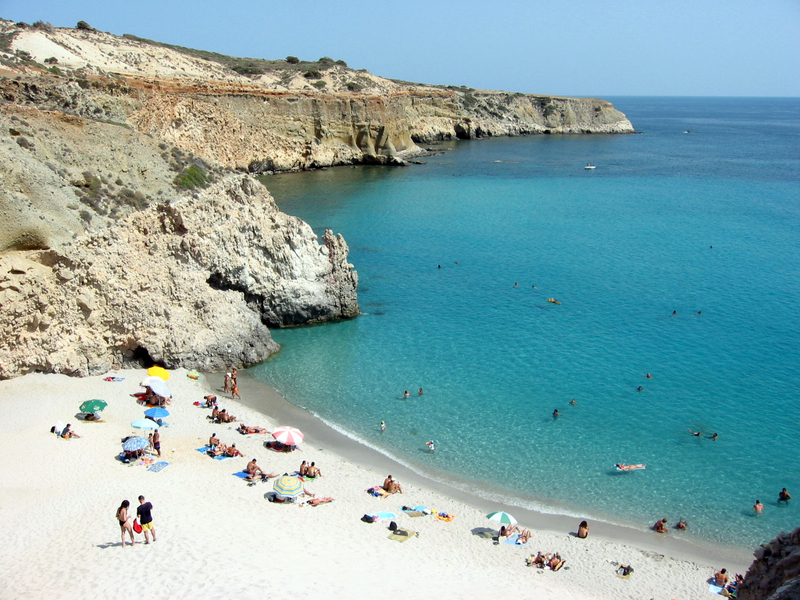 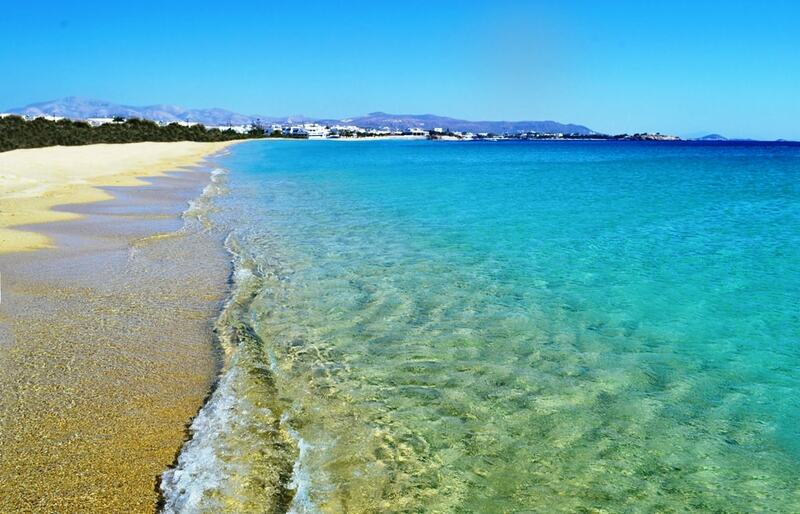 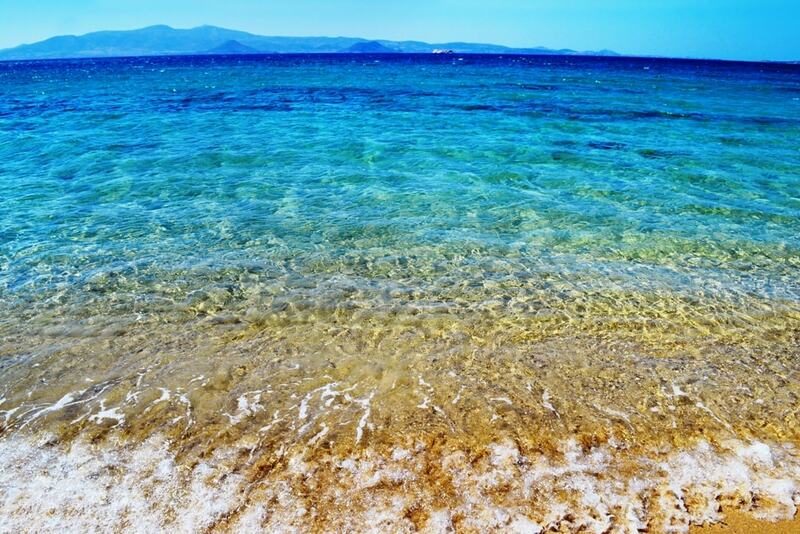 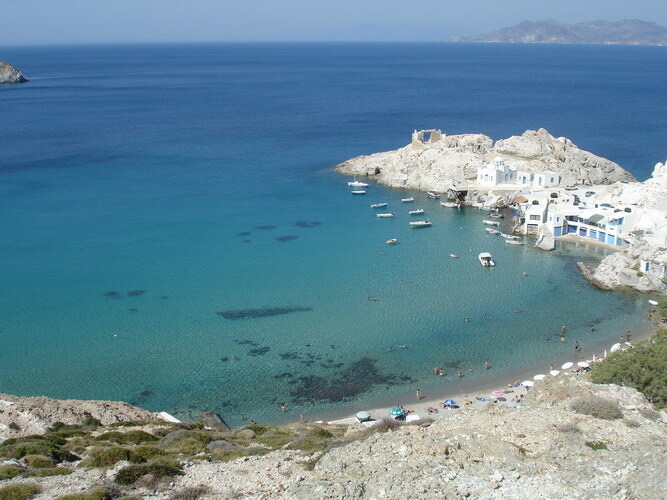 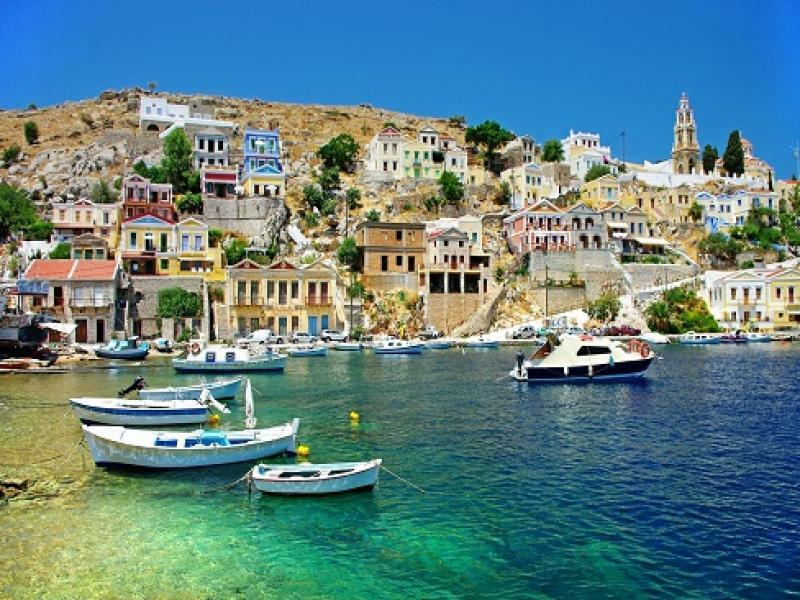 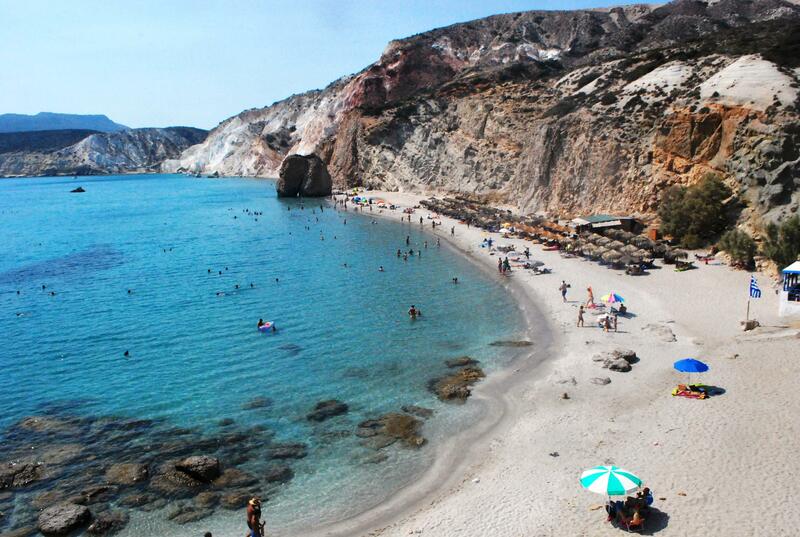 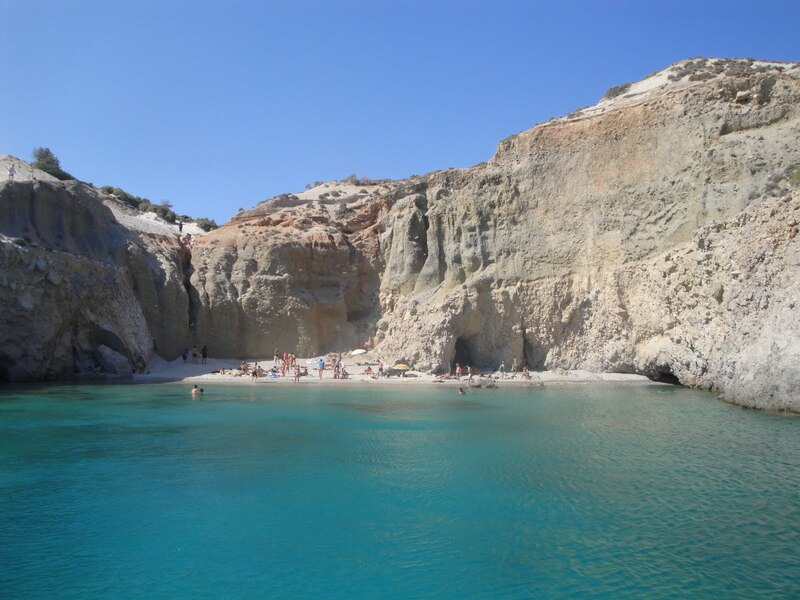 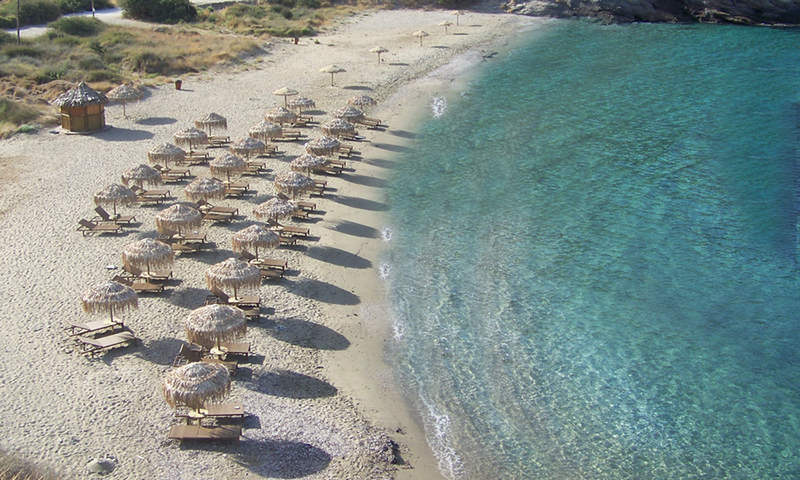 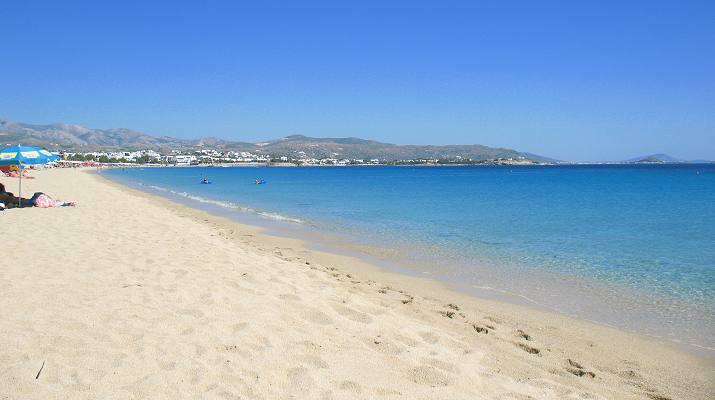 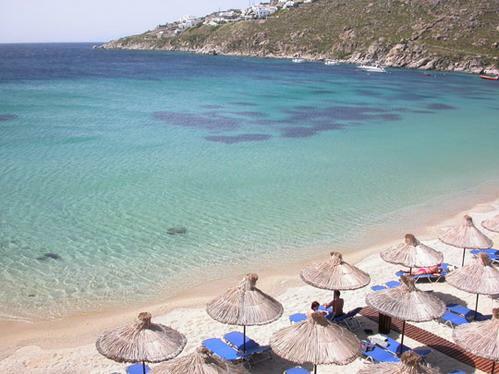 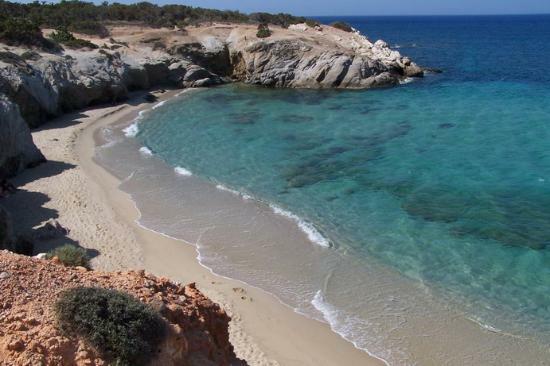 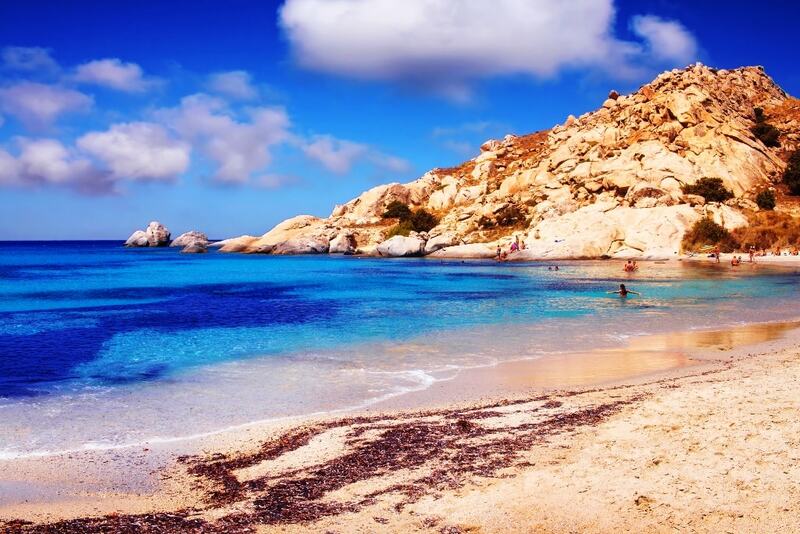 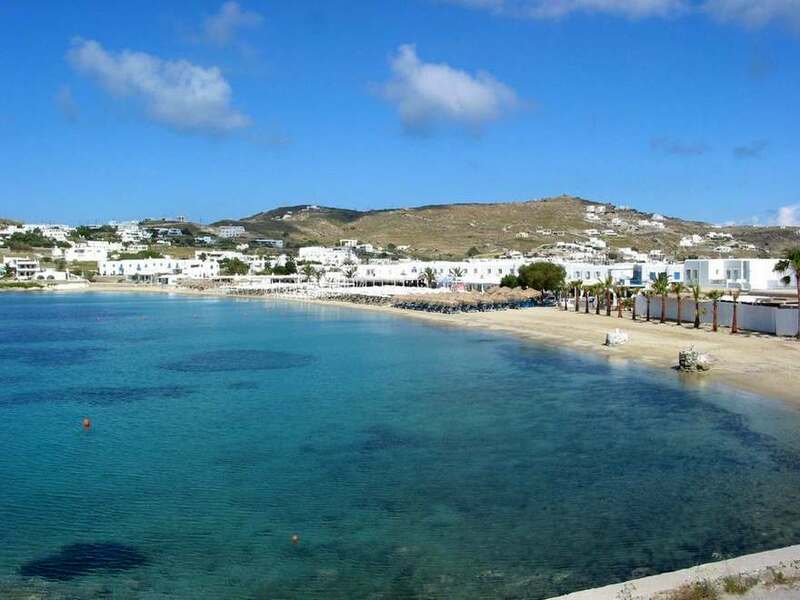 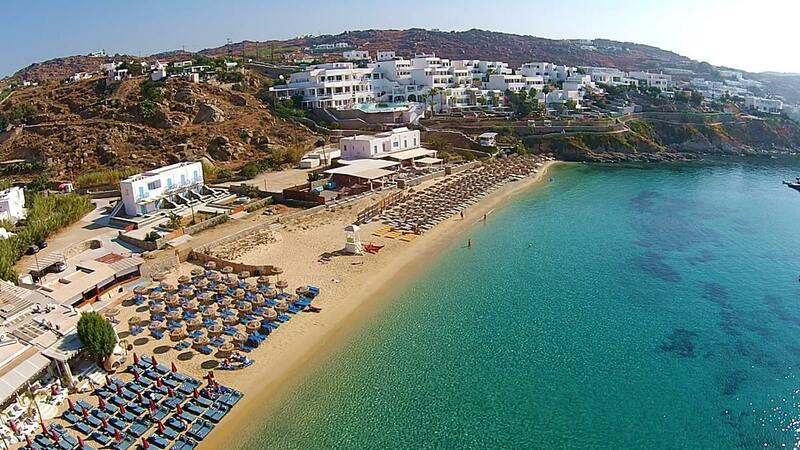 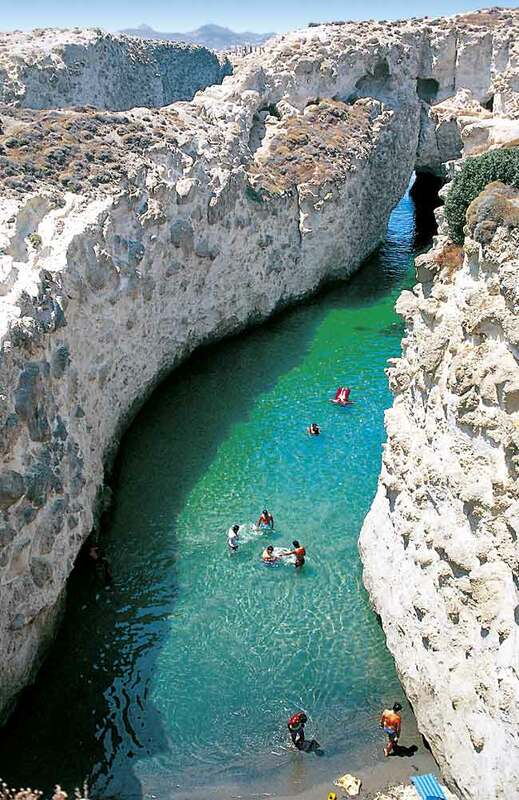 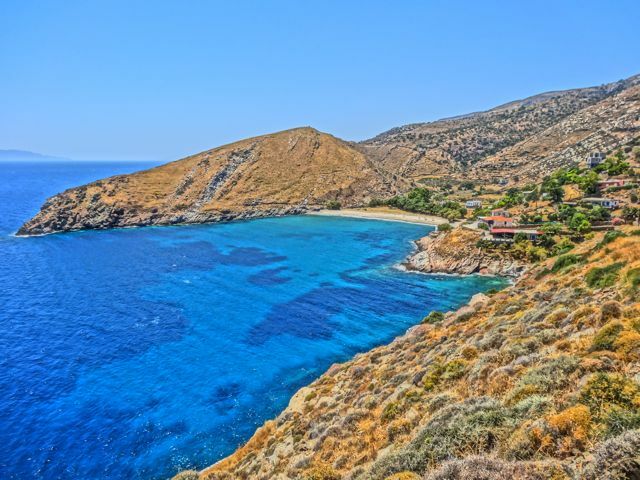 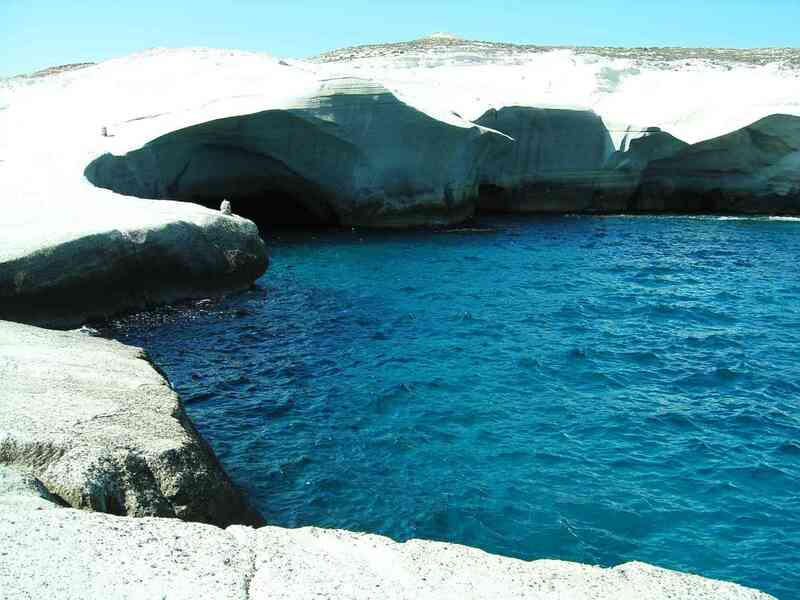 With an overall surface area of 1400 square kilometres, it is the fourth largest Greek island. 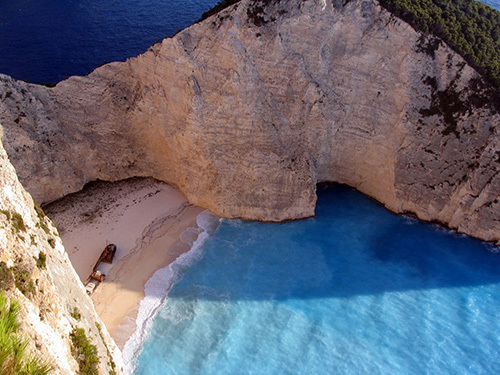 The island is 77 km long and 35 km wide and mainly mountainous. 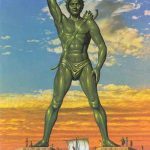 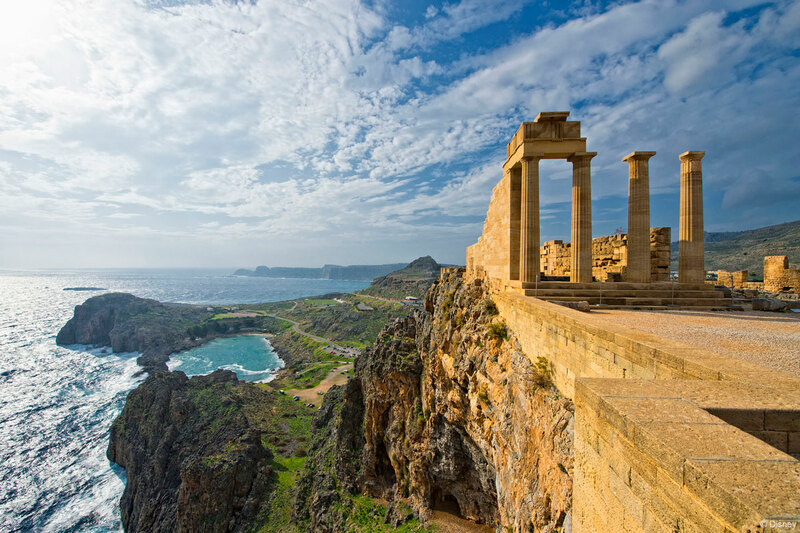 Its tallest mountain, Atavyrros, in the north west of the island, was well known during antiquity for its temple of Zeus Atavyrros and peaks at 1215m. 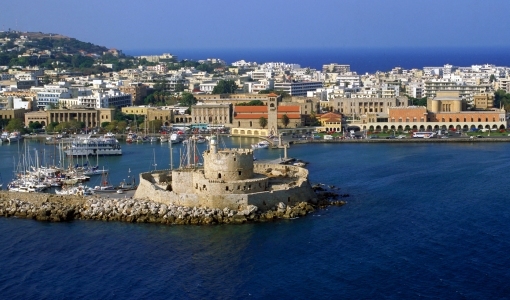 Rhodes is the largest of the Dodecanese Islands and also capital of the Dodecanese prefecture. 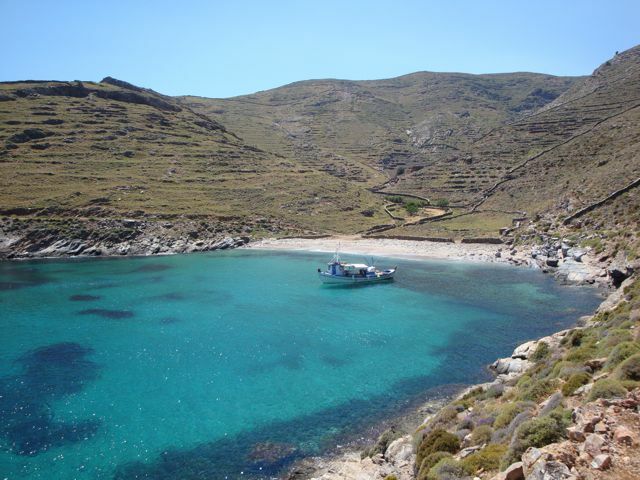 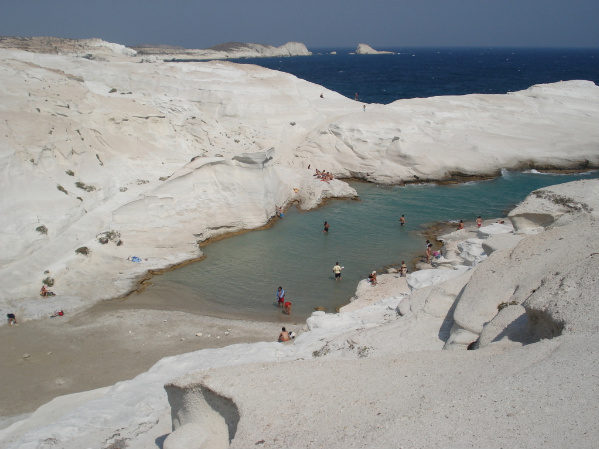 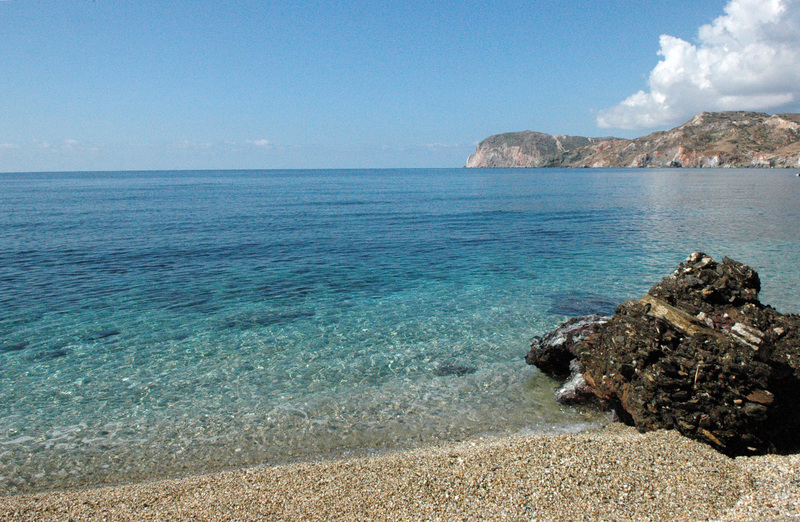 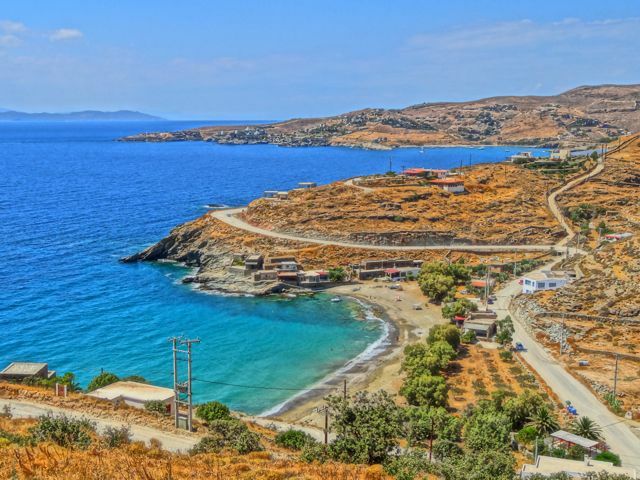 The majority of the terrain is mountainous on the island, with limited plains, unlike most of the other Aegean islands. 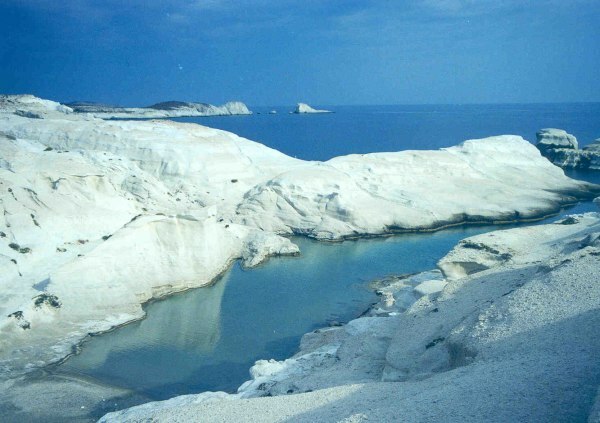 The highest mountain is Atavyros at 1,215m above sea level followed by by Akramytis 825m and Profitis Ilias 798m. 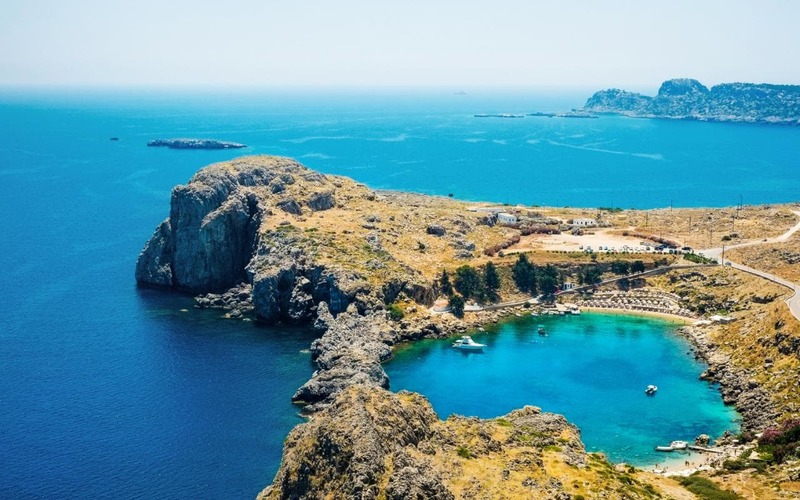 The coastlines of Rhodes alternate between the gentle shores of the east and the sheer rocky promontories, headlands and pebble beaches of the west. 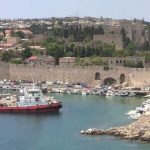 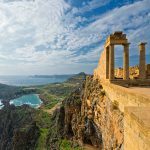 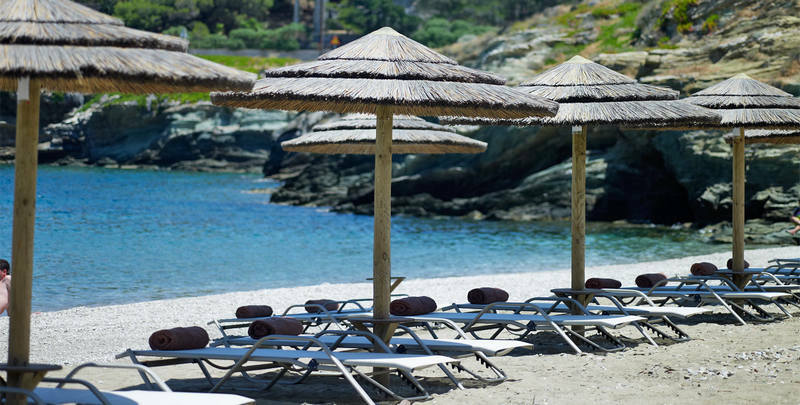 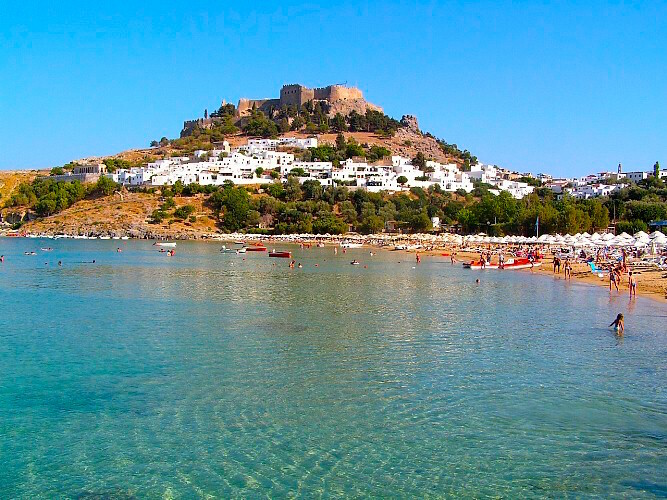 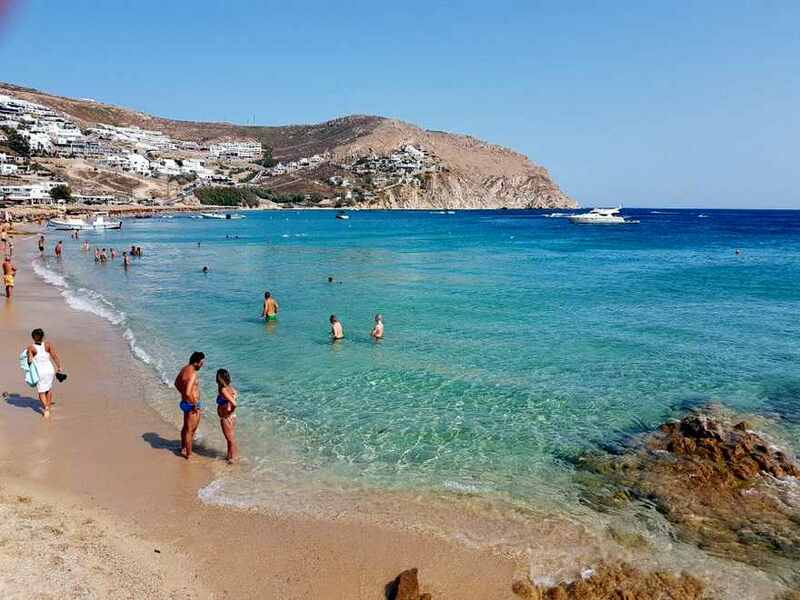 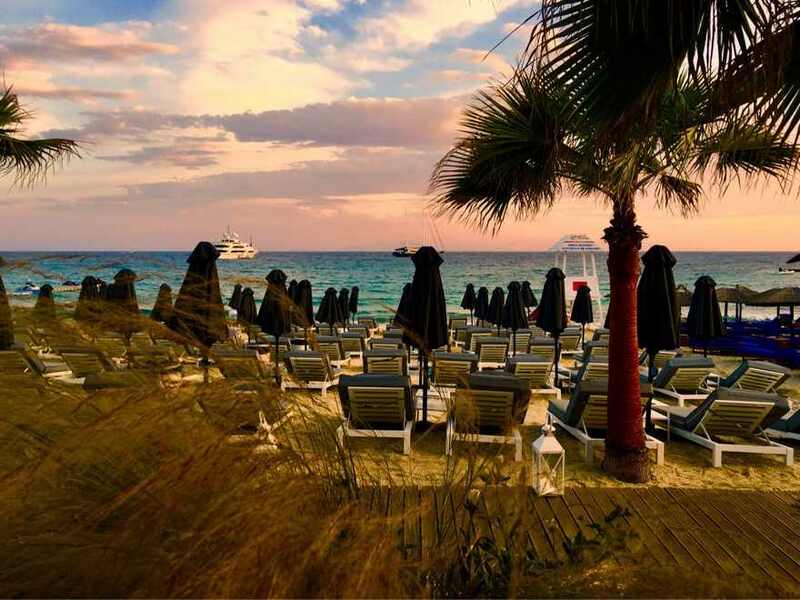 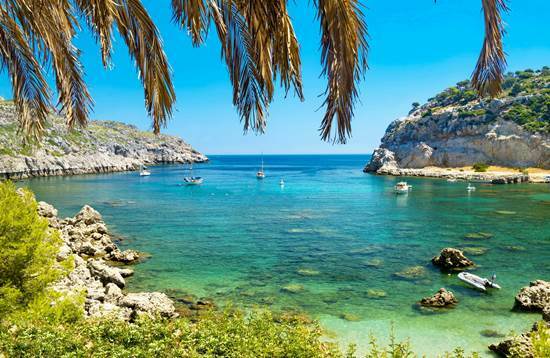 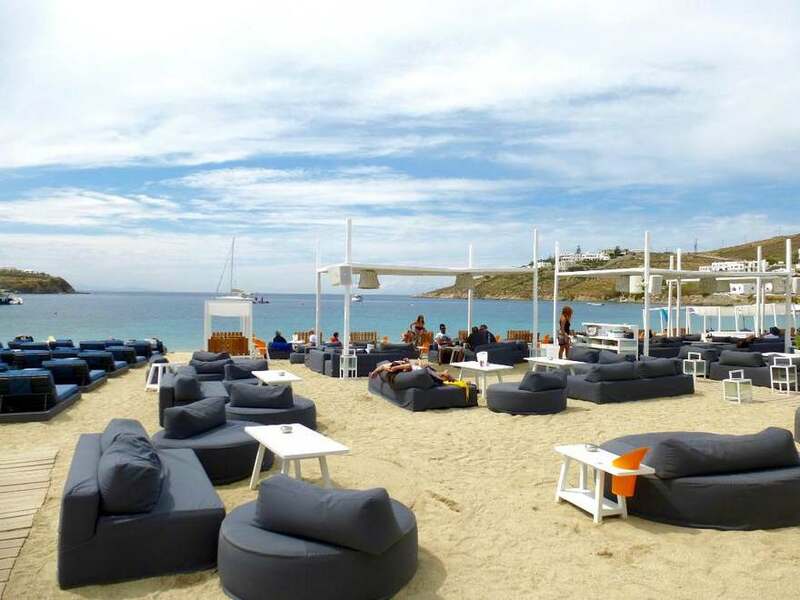 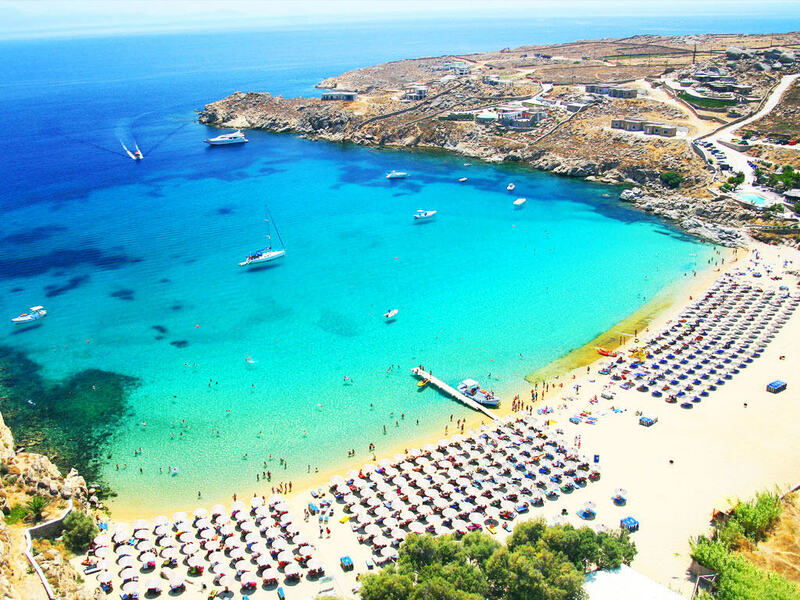 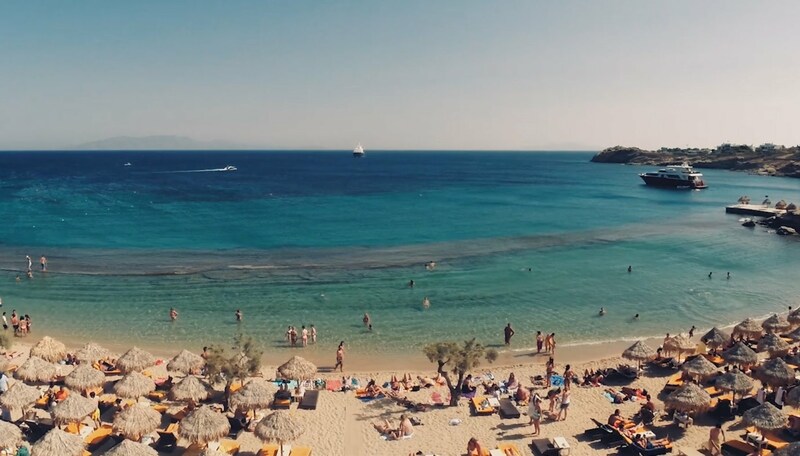 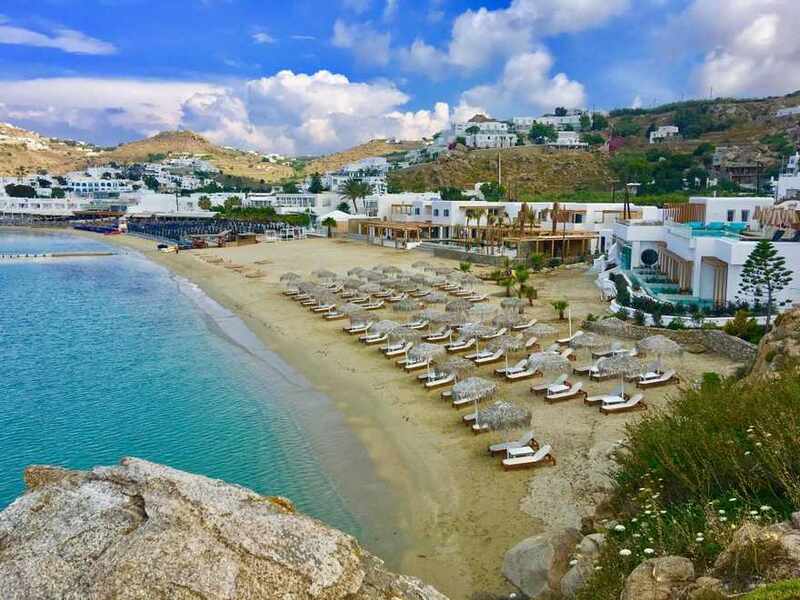 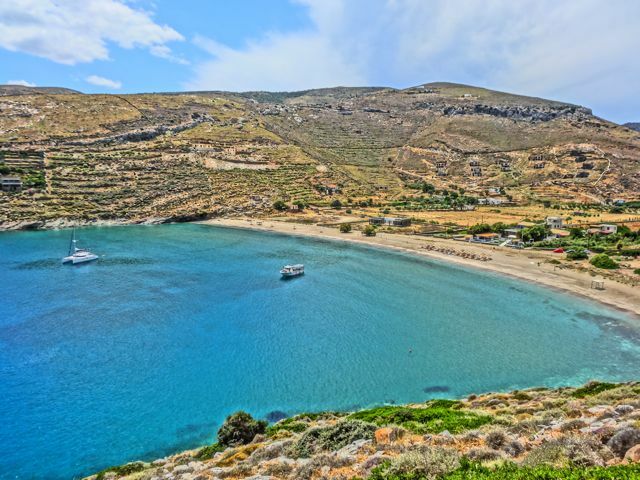 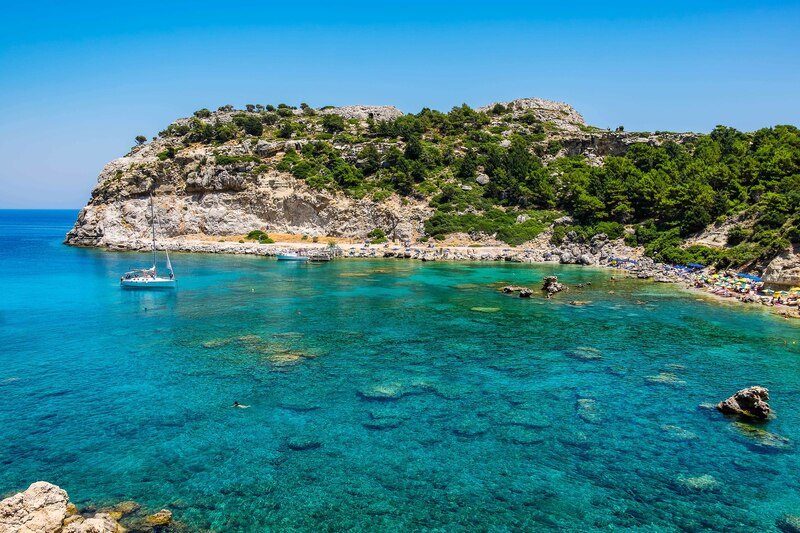 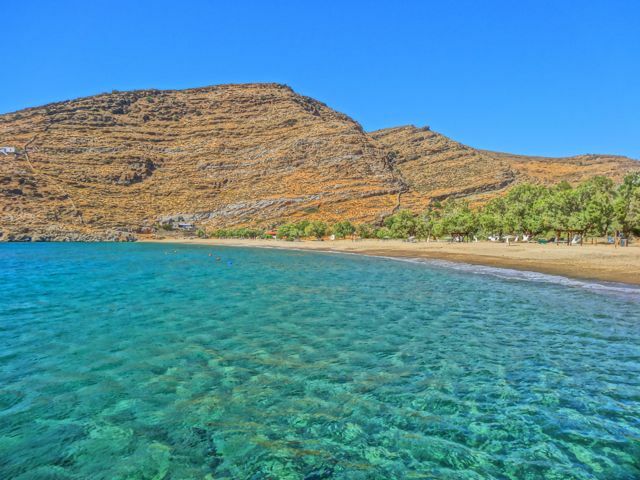 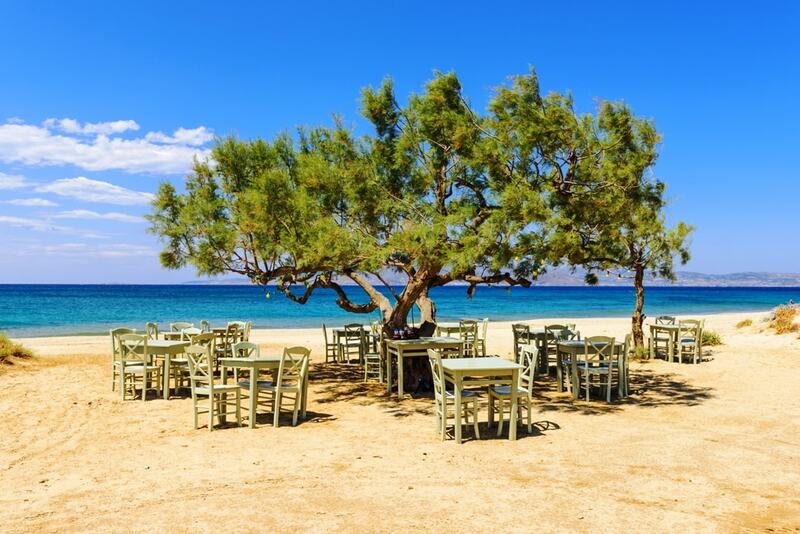 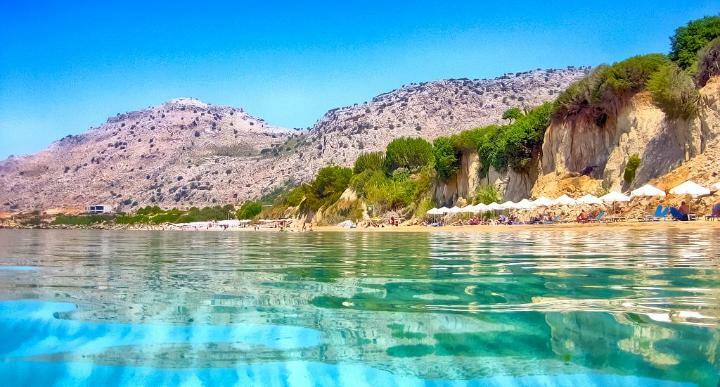 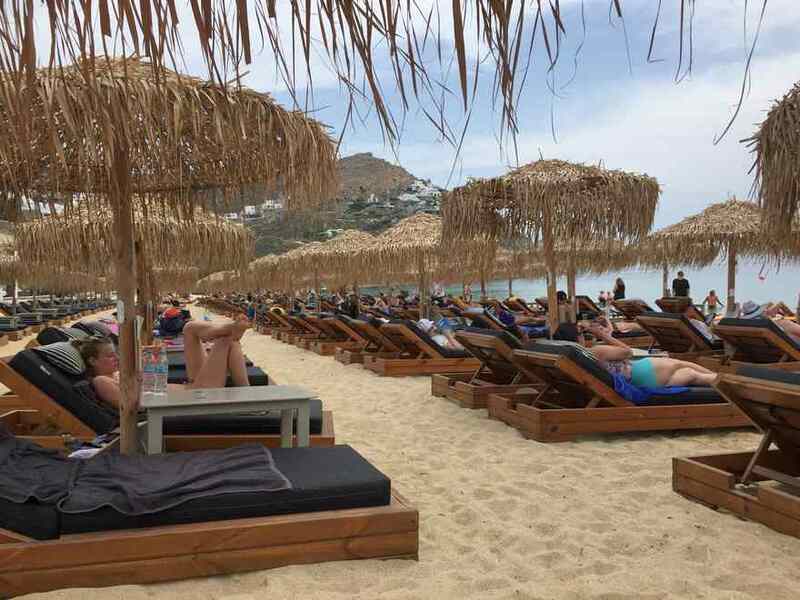 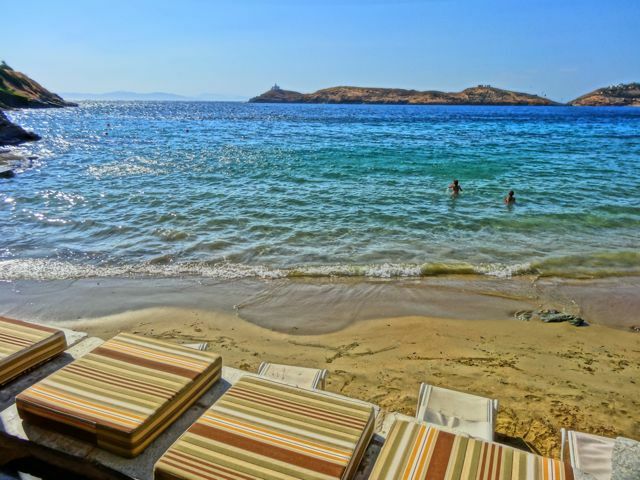 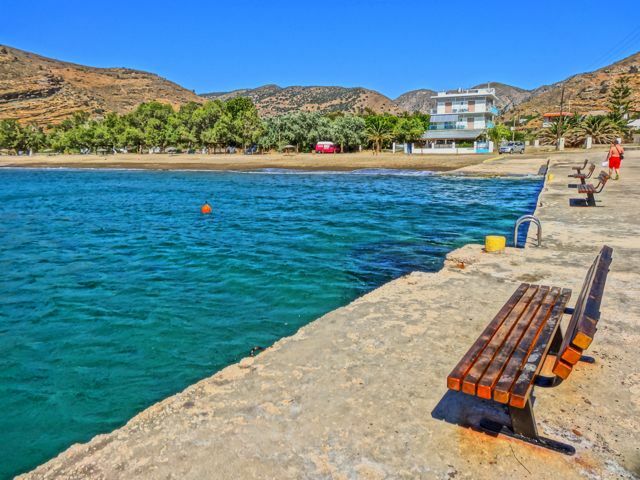 Rhodes is one of the most popular and well developed holiday destinations in the Mediterranean attracting tourists arriving with charter flights, cruise ships and private yachts. 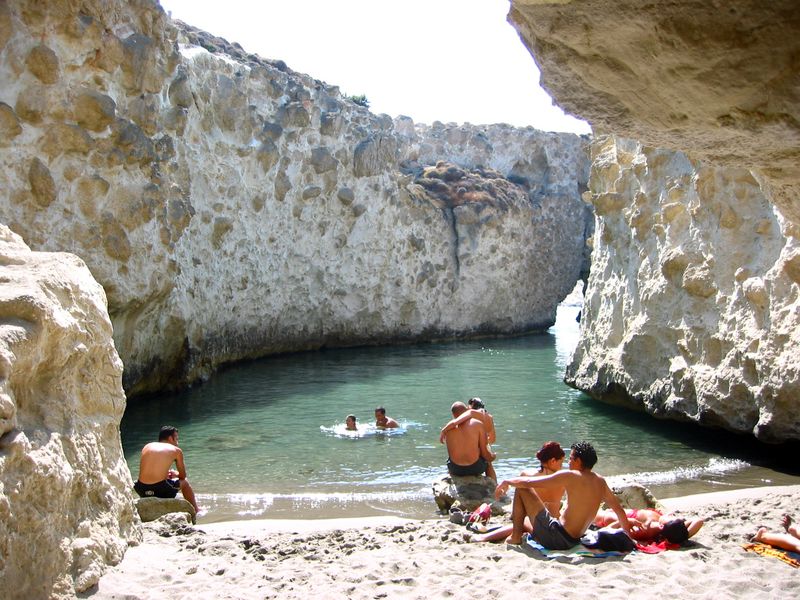 Tourism is the primary source of income which accounts for ~75% of the total island's economy. 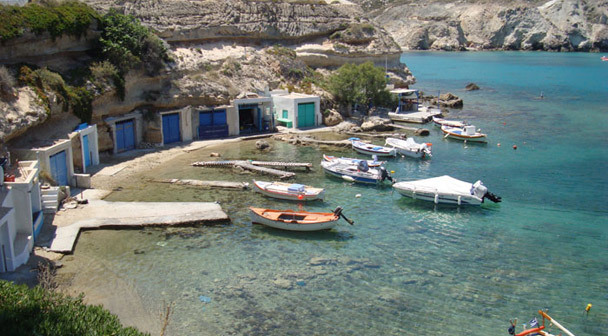 Small industries process imported raw materials for local retail. 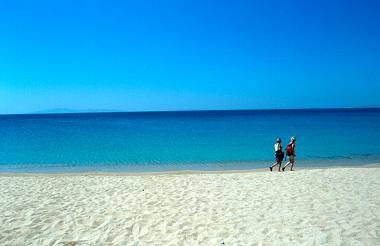 Other industry includes agricultural goods production, stockbreeding, fishery, dairy products and winery. 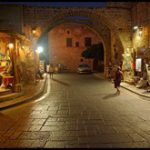 In 1998 the medieval Old Town of the City of Rhodes - with aprox.6,000 inhabitants - has been declared by UNESCO a World Heritage Site. 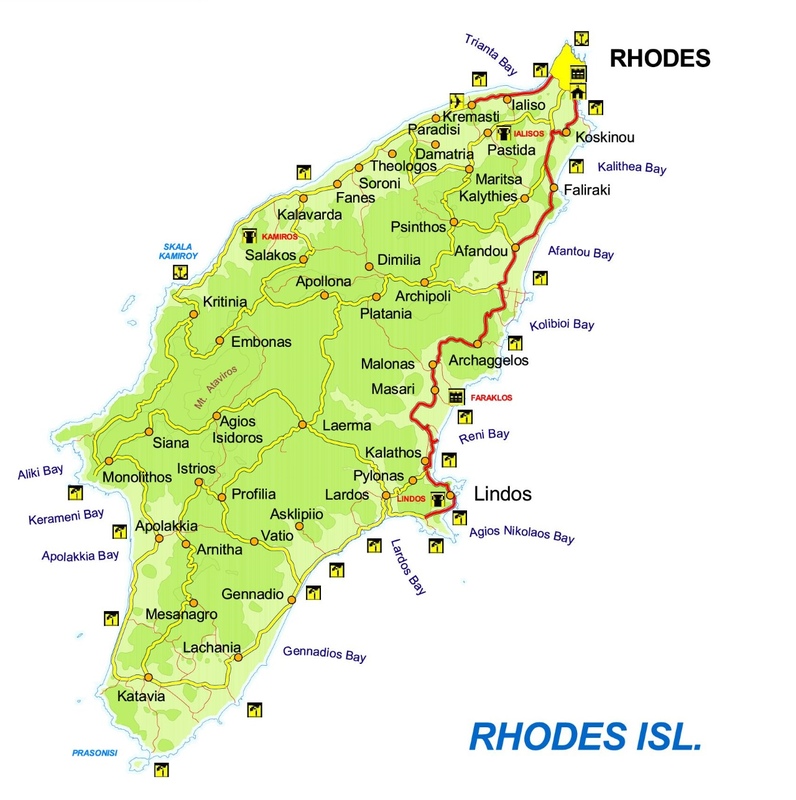 The island of Rhodes currently has a population of over 100,000 inhabitants. 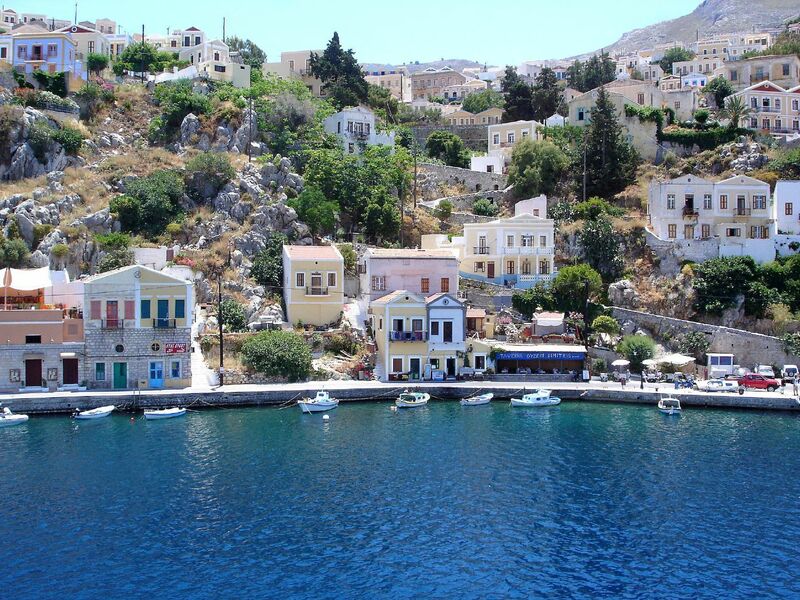 Over 50,000 inhabitants live in its capital city and the remaining inhabitants live in the 42 picturesque villages of the island. 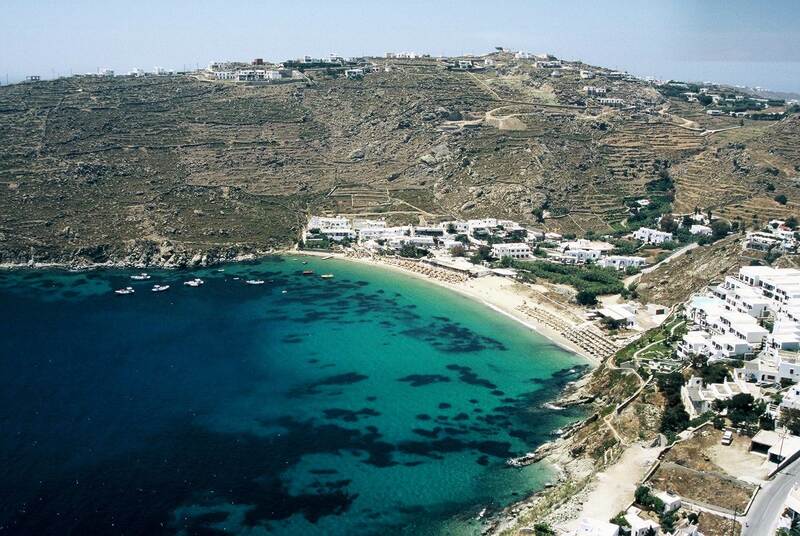 The island’s main sources of employment are tourism, farming and commerce. 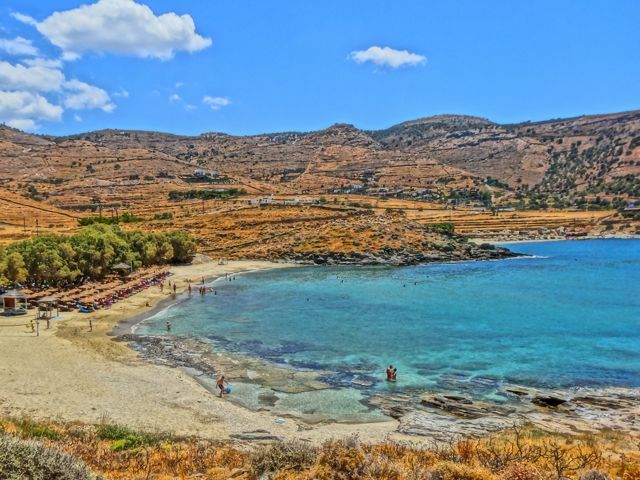 The climate in Rhodes is one of the mildest in the world with uniquely clear skies, over 300 days of sunshine per year and moderate temperatures. 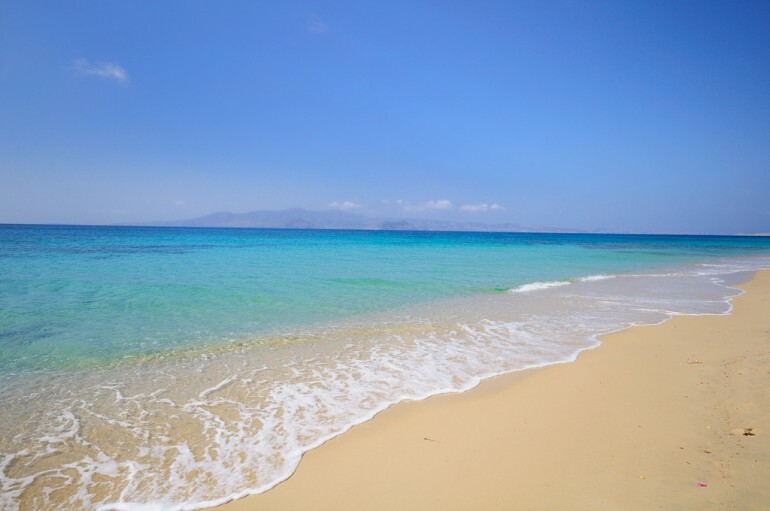 The rainy period is generally from November to March. 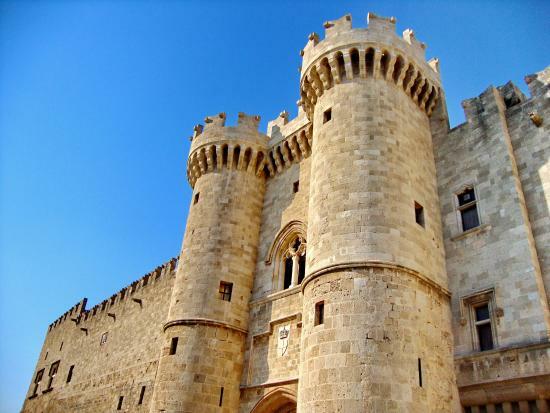 The Archaeological Museum of Rhodes is housed in the Medieval Building of the Hospital of Knights. 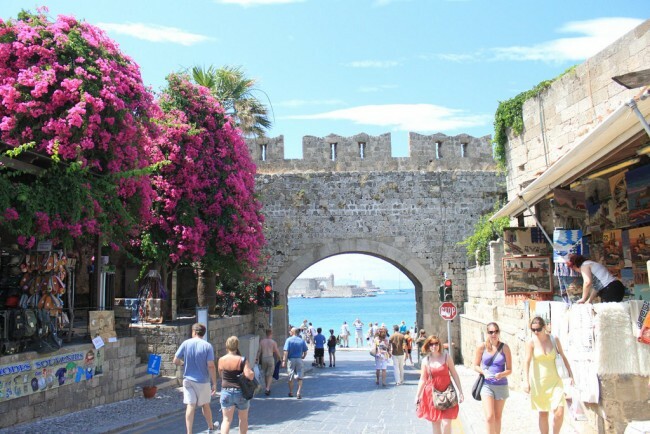 The old city of Rhodes has eleven gates. 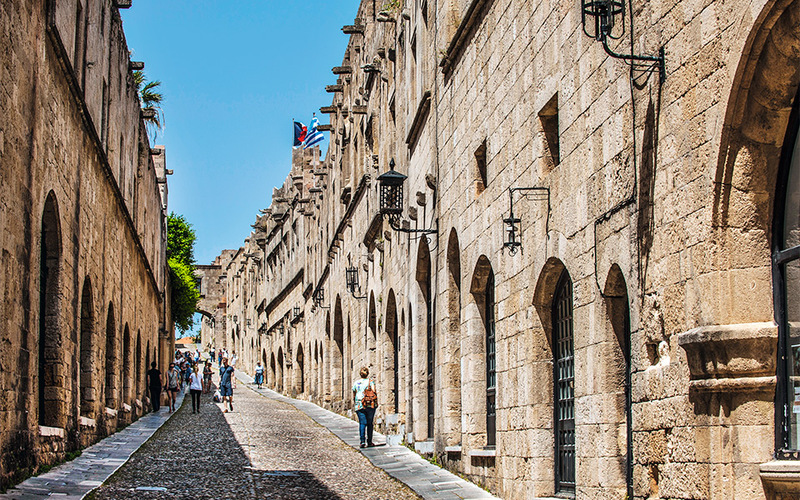 Here you will find yourself caught up in the medieval magic of the old town. 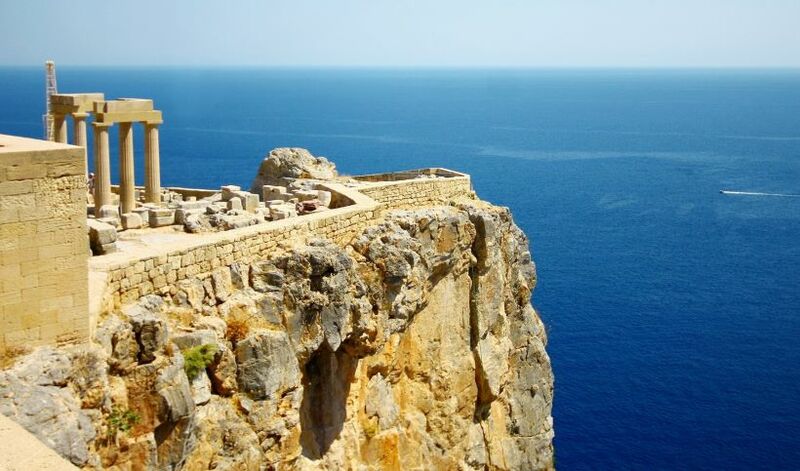 Visit The Hill of Monte Smith, which is the famous site of the Acropolis of ancient Rhodes.